If you like basketball, you will love this outrageous version!! 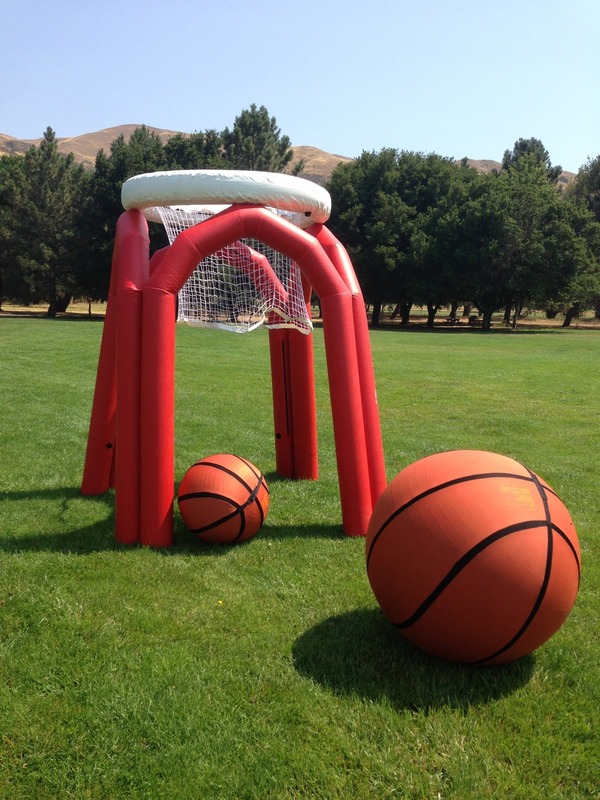 Shoot hoops with huge 23″ or 37″ basketballs! We also have a smaller ball for children. You can play on grass, sand, asphalt or indoors. 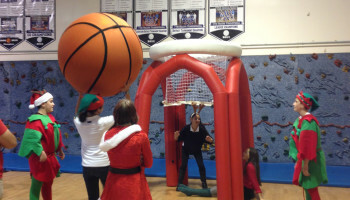 Monster Basketball is a great addition to any party or event. 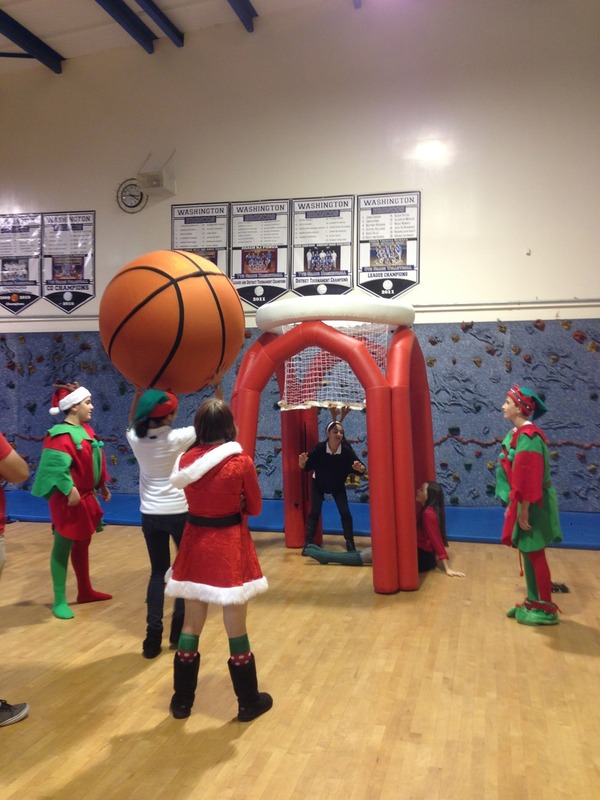 While the kids are jumping in the bounce-house, the adults can have fun playing basketball. 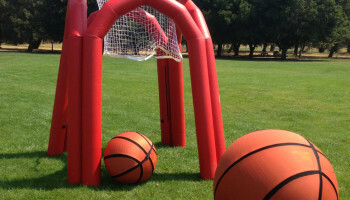 The inflatable nets come in two sizes: 6 and 8 feet in height. With each rental, you get one ball and one free standing net. Perfect for any sports-themed event, school sports team building and company sports-themed parties.